Finding life on Mars has been a benchmark of space exploration progress for decades, hence our fascination with the Curiosity rover and all of the data it provides NASA. But some people think that Curiosity will never find anything just scraping the surface and taking shallow rock samples. They think that, if the red planet currently supports living organisms, evidence of that life could be buried deep beneath the surface. 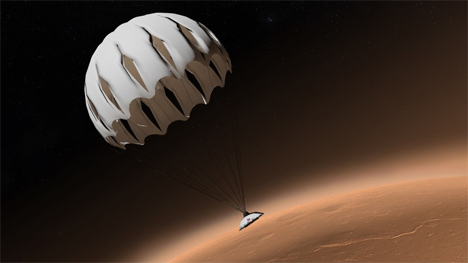 A non-profit startup called Explore Mars wants to launch (pun very much intended) an ambitious project to find life under Mars’ surface. They call it ExoLance, and they’re raising funds for the endeavor on Indiegogo. According to Explore Mars, all data collected so far from Mars clearly shows that the planet is – or was at some point – able to support life. 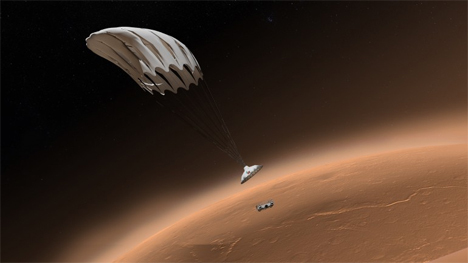 Given the harsh conditions on Mars’ surface, the team – led by the former director of NASA’s Mars Exploration Program – believe that extant life forms likely retreated underground. If this is true, Curiosity is not equipped with the proper tools to explore those life-supporting regions and won’t return the results that so many of us are hoping it will find. The ExoLance project would address this problem in a half scary/half totally logical way: by firing several penetrating probes into the surface of Mars. 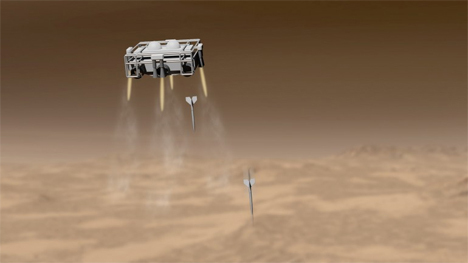 As the delivery vehicle carrying the arrows approaches the planet, kinetic energy would help launch the arrows a couple of meters down below the surface. The arrows would then break in two, with the top part remaining on the surface as a communication link and the bottom part holding the scientific measuring equipment. From there, the probe that’s embedded in the surface would measure key markers that would indicate whether current living organisms are present. Additionally, the instruments would measure whether the organisms are similar to those found on Earth or have a completely different composition. If the Indiegogo campaign is successful, the group will test their hardware by firing arrows from aircraft into the surface of the Mojave desert. 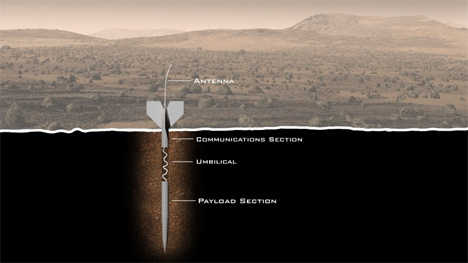 The experiment will determine whether the probes can withstand the impact and burrow to the depth needed to collect useful samples. See more in Space & Time or under Science. August, 2014.